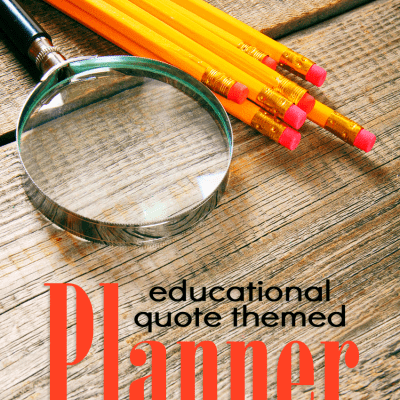 A day in the life of a homeschooler can be hectic. Lessons, projects, and activities run together. Household tasks and chores rush to fill in the gaps. Even with little ones at home, sometimes our own homeschool preschool feels rushed. Before I realize it, the day is done and we’ve yet to really connect with anything or anyone. One of the most lovely benefits of homeschooling is the ability to be flexible, to slow down, and to spend time on the things that really matter. But sometimes our to-do list threatens to take the beauty out of our homeschooling. When this happens, the best thing we can do as homeschooling moms is to slow down and search for beautiful moments in our everyday routines. Merriam-Webster defines beauty as “the quality or aggregate of qualities in a person or thing that gives pleasure to the senses or pleasurably exalts the mind or spirit.” Do you find that your daily homeschool schedule exalts your mind or spirit? If you’re like me, too often we find ourselves stuck in a rut. Homeschool is full of beautiful moments… if we’re paying attention. A beautiful moment can take an ordinary lesson and make it unforgettable. A beautiful moment can bring meaning to even the most dreaded tasks and subjects. A beautiful moment can remind you why you chose to homeschool to begin with. So how do we search for these beautiful moments in our homeschooling? Our relaxed homeschool preschool routine is brimming with beauty! The simplest way that I’ve found to find beauty is to engage with our senses. I use this practice to help me slow down, take a mental picture, and harness beauty with all five senses. It’s so easy! You can teach even your youngest children to stop and admire beautiful moments. What little thing am I overlooking right now? How can being mindful of my senses help me focus on what really matters? Is there a memory that I’m about to miss because my mind is too busy? Want to find more beauty in your homeschool? Practice this habit of being mindful of your senses. 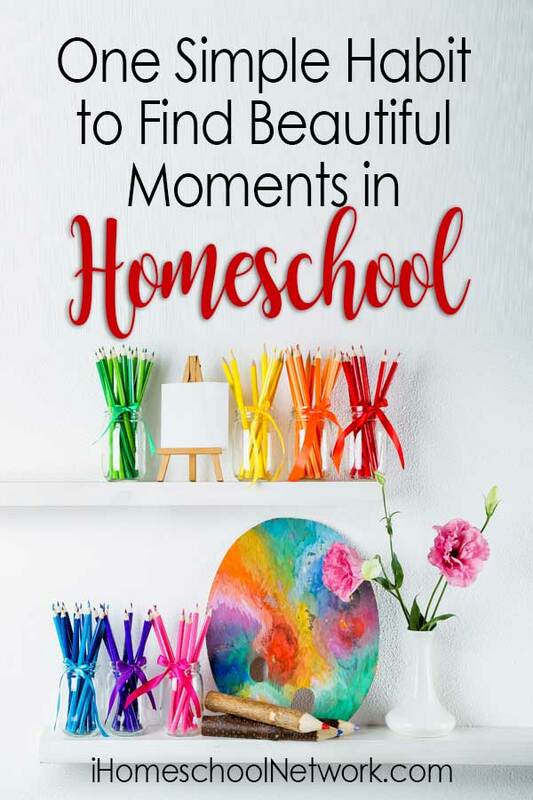 Try these simple ideas to engage your senses and capture the beauty in everyday homeschool routines. Teach your children to be mindful of their senses as well! Stop to appreciate the pattern of pencils in a pretty jar. Capture the memory of tiny fingers and hands fiercely grasping a crayon. Focus on the unique sound of each child’s laughter. Close your eyes and memorize the chorus of nature in your backyard. Enjoy the textures of a well-loved book in your hands. Savor the crunch of grass under your feet during nature study. Enjoy a sweet treat as you do a kitchen science experiment. Study a country together, then relish the exotic flavors in a native dish. Appreciate the spellbinding aroma of the pages of a classic book. Delight in the fragrance of a candle as you review math facts. Is your homeschool tank running on empty? Do you crave more beautiful and meaningful moments with your children throughout the day? Try this simple habit of engaging your senses. I know that as you’re more mindful of the little things, you’ll begin to recognize the beautiful moments hiding around every corner. Tell us! What are your favorite beautiful homeschooling moments? How do you teach yourself and your children to slow down and appreciate beauty? Julie is a former teacher and mom of two. She spends her time cultivating creativity and curiosity in her young children at home. 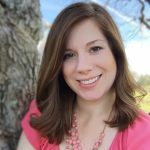 She shares her relaxed homeschool preschool tips and Christian parenting advice on her blog, Jules & Co.